Will a Sheep’s Wool Grow Forever? If a sheep is left unshorn, will its wool grow forever? Is that healthy? Is this a glitch in the (wooly) fabric of evolution? 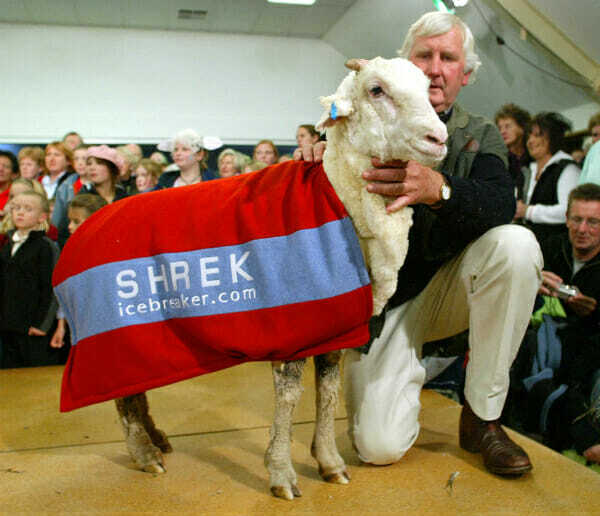 When Shrek was eventually sheared (because man always triumphs over sheep), there was enough wool to produce 20 men’s suits. Just an abnormal, excessive, downright insane amount of wool. Which led us to some basic questions: If a sheep is left unshorn, will its wool grow forever? Is that healthy? Is this a glitch in the (wooly) fabric of evolution? We turned to Dave Thomas, head of sheep studies at the University of Wisconsin, Madison, who patiently answered all our pressing sheep questions. Modern Farmer: Let’s get right down to business. Will wool just keep growing and growing if humans don’t cut it off? 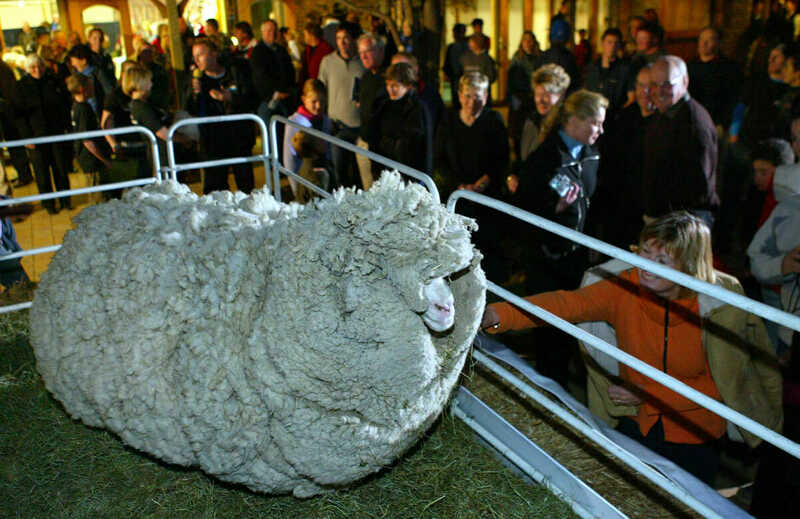 Dave Thomas: For domestic sheep like the Merino [Shrek’s breed], the answer is yes. MF: So domestic sheep have evolved based on the way we groom them? DT: That’s right. Primitive sheep like Bighorns in the West still shed most of their wool every year. And domestic sheep, the ones raised primarily for their meat, will do some shedding. But for the majority of sheep, there is continual, year-round wool growth. MF: Shrek was obviously an extreme case, yes? DT: It’s very rare for wool to get that long. We do hear stories from people with just a few sheep at home, who have a hard time finding a shearer. [Ed note: See related Modern Farmer story for more on that issue.] They’ll often let ’em go for two or three years. MF: Are there potential health issues? DT: Full fleece can be bad in very hot weather, sometimes leading to heat stress. 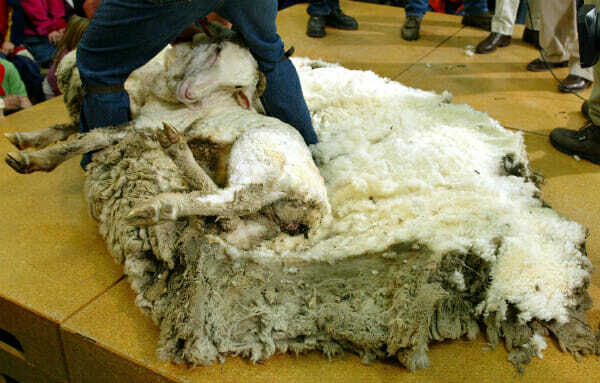 There are also mobility issues: if a sheep with long wool lies down on a heavy incline, it can be impossible for them to roll off of their backs. In extreme cases, they can die. MF: That’s wild. What about vision? It looked like Shrek would have a hard time seeing through that mess. DT: That is what you would call “wool-blind,” when the sheep’s vision is actually impaired. MF: Do most sheep hate getting sheared? DT: Just like going to the dentist, nobody loves getting sheared. If only sheep knew how much better it makes things in the long run! It’s funny: young sheep will fight against shearing pretty hard, struggling and kicking. But older sheep are pretty docile – they know the routine, it’s not such a big deal. A good shearer will be done in three to four minutes, with no pain at all. R.I.P. Shrek. Mourn ya ’til we join ya. Looks like a fun site, and I enjoy your approach..